Once again working successfully alongside Goldcrest architects, this residential scheme at Fortescue Road, Merton transforms a former Thames Water depot into an ecologically rich setting for 74 new homes. There is a local nature reserve immediately to the east of the site and the Wandle Trail, a traffic free green route following the River Wandle, passes by close to the west. 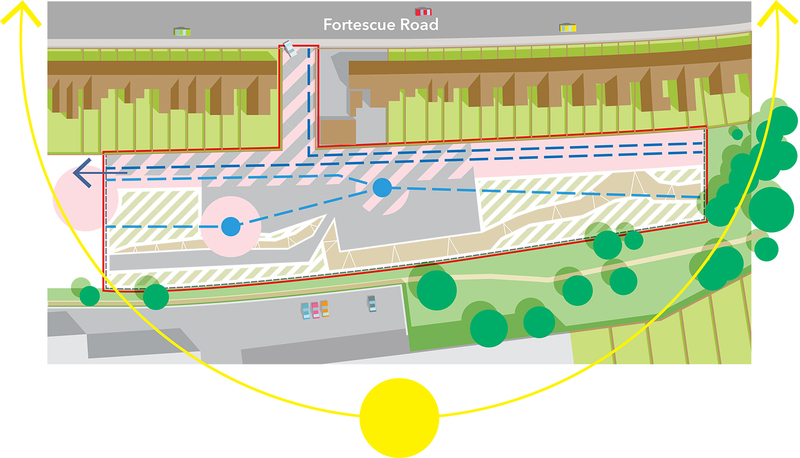 This adjacency to a range of landscape typologies and habitats provides a tremendous opportunity to create a new landscape that enhances east-west connectivity for both amenity and ecology. To realise this opportunity we have proposed a series of garden spaces, creating a mozaic of habitat types and ecological corridors that interlink and enrich the existing landscape. At the same time our ecological ambitions have been balanced with the perceived amenity needs of future residents to create a rich and varied landscape full of opportunity and delight.